By Universal Nets based in Sandfly Tasmania, AUSTRALIA. 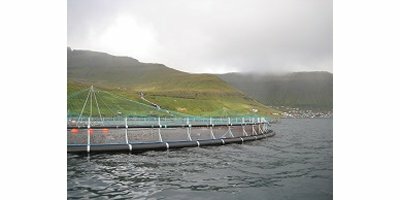 Together with the Faroese fish farmer we have manufactured cages since 1992. By combining the flexibility of plastics with the strength of steel, KJ has constructed a net cage system that satisfies the present day high requirements to strength and safety. All-welded steel brackets with powerful mooring attachment lugs. 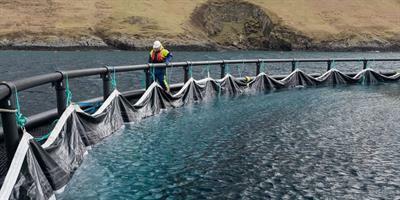 Aqualine Midgard System is a complete net cage system in which all components work together to protect the fish and personnel. Airfoss is a complete solution for the collection of dead fish. 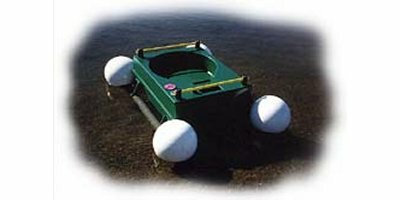 We offer 2 different collection systems, the S-system which is a specially designed heavy duty system for collection of dead fish from large, deep net cages and a more traditional A-system for collection of dead fish from net cages with small to medium sized nets. By Seafarm Systems Pty Ltd. based in Goodwood, AUSTRALIA. Electronic unit, 2 sets of nozzles (35 and 48 mm), hose, pump, net and floats for placing the counter in tank or cage. High working capacity nets due to the excellent relationship between its breaking resistance and elongation, thus being capable of absorbing great shock loads. 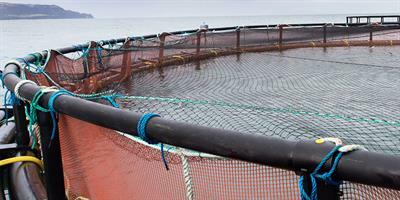 For the fishing industry, these nets are used mainly in vessels with net hauling equipment. Also, commonly used as sports nets, such as Baseball Cages and Panels. 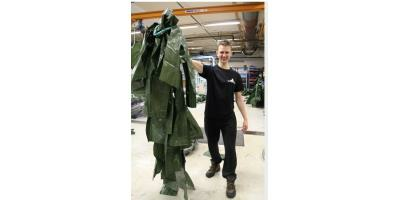 The sweep nets and crowd nets are made exactly to fit your cage and fish size. 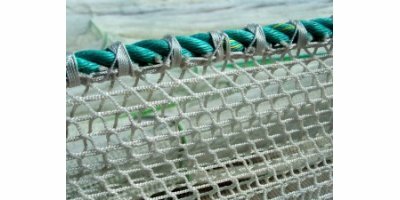 Send your specifications to us – and we will work out a price with knotless netting made from both nylon and Dyneema® fibres. By Çakır Balıkçılık Malzemeleri Sanayi ve Ticaret Ltd. Şti. based in Güzelbahçe/Izmir, TURKEY.